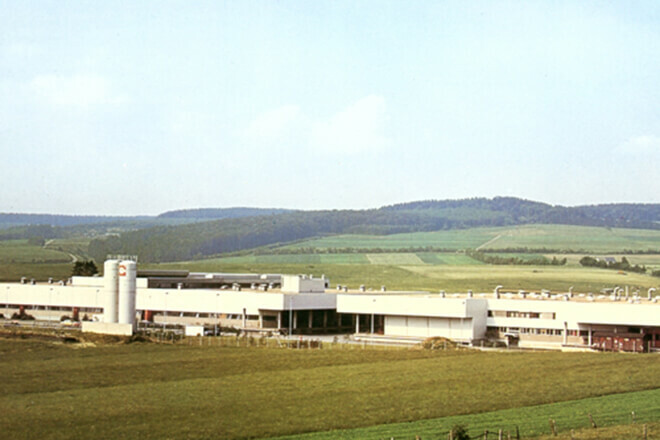 STIHL builds its own plant for high-quality magnesium die casting in Prüm-Weinsheim in the Eifel. The sales company STIHL Chain Saw (Aust.) Pty. 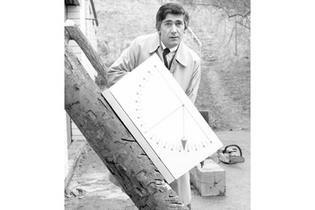 Ltd. is founded on the other side of the world. From now on, all STIHL equipment around the world is orange and light grey in colour. Company founder Andreas Stihl dies at the age of 76. The reins are handed over to Hans Peter Stihl (general partner) and his sister Eva Mayr-Stihl (managing limited partner). 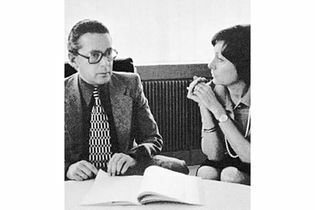 Additional limited partners are Gerhild Schetter (née Stihl) and Dr Rüdiger Stihl. 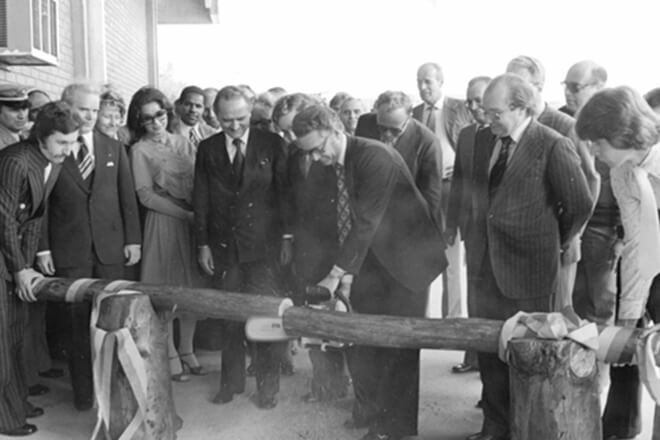 STIHL founds a production and sales company in Brazil, and its plant in Sao Leopoldo is officially opened two years later. The first foreign production site soon goes from mere assembly to manufacturing parts and entire chainsaws. 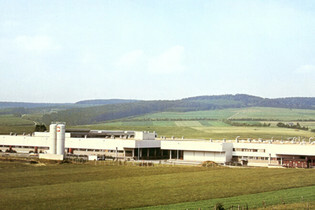 STIHL founds a plant for the production of saw chains in Wil in the canton of St. Gallen. All STIHL saw chains used around the world are now manufactured at the new site. 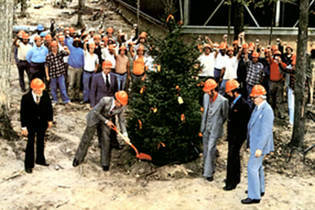 The production and sales company STIHL Inc. is founded in Virginia Beach, supplying the North American market with chainsaws manufactured entirely locally. 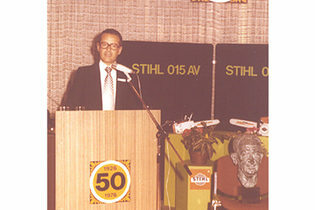 STIHL celebrates its 50th company anniversary with a ceremony at the Stuttgarter Liederhalle and a party at the Stuttgart concert hall. The new company logo is introduced on 1 January 1977. 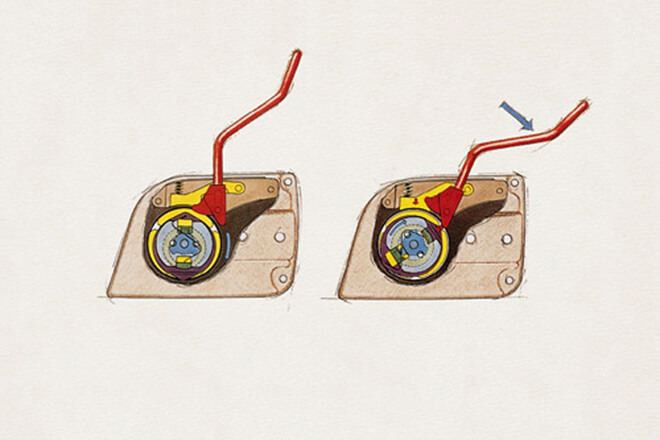 STIHL has continuously improved and expanded its broad product range ever since – timeless and recognisable around the world. 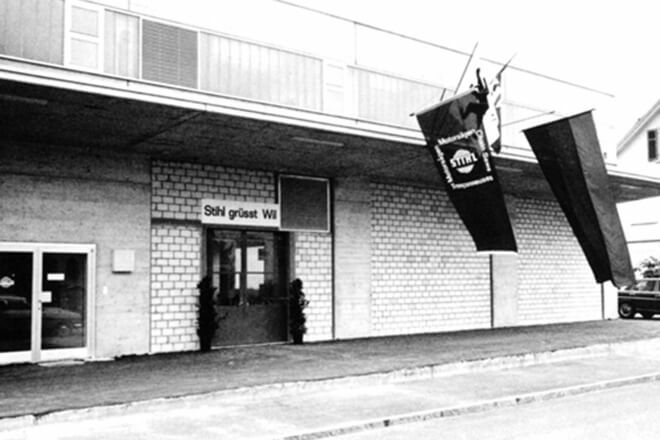 Dr Rüdiger Stihl, youngest son of founder Andreas Stihl, joins the company. He serves as Member of the Executive Board for Legal Affairs until 2002. 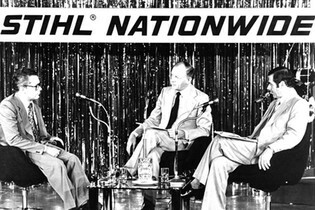 1978: Starting shot for STIHL U.K. The sales company ANDREAS STIHL Ltd. is founded, giving STIHL control over its sales on the British Isles. 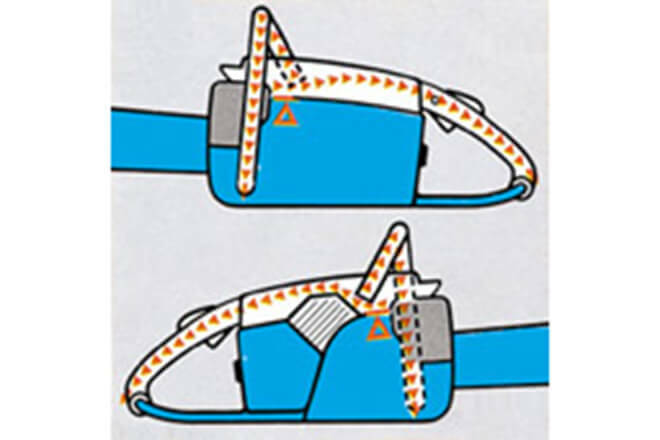 The throttle lever lock, which is installed in all series chainsaws from this date forward, prevents the saw chain from starting unintentionally. 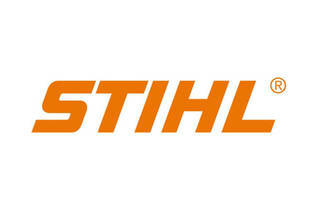 From now on, all STIHL equipment around the world is orange and light grey in colour. The chain brake, triggered by the hand guard in front of the handle, stops the saw chain in a fraction of a second when the chainsaw kicks back. 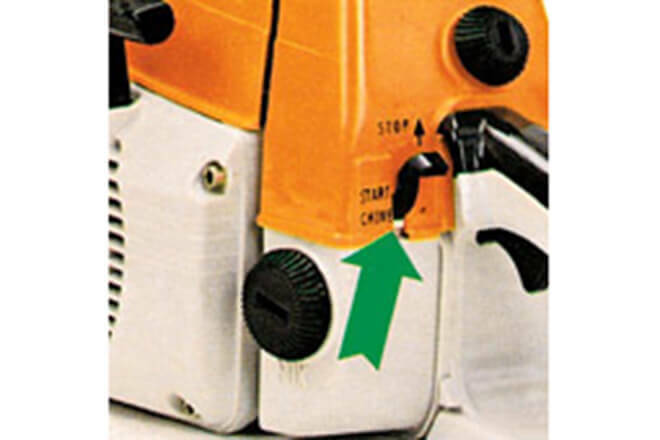 Handle heating that can be turned on or off ensures the operator always has a firm grip on the machine, even in cold weather. 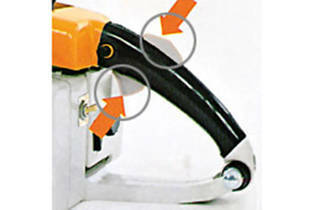 Some of the heat from the exhaust gas is conducted through the entire handle system. 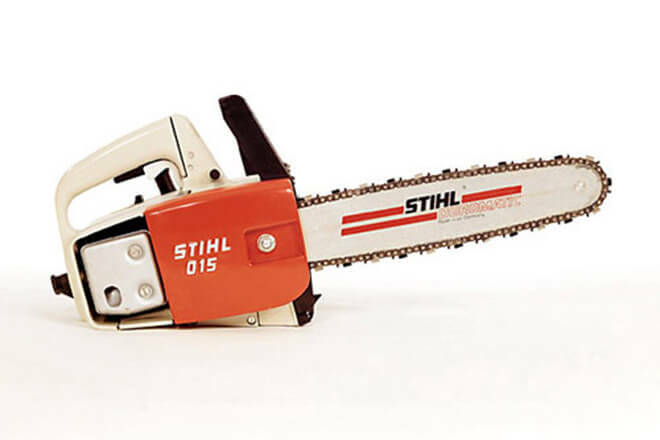 With the 015, STIHL brings a chainsaw for hobby users to market. 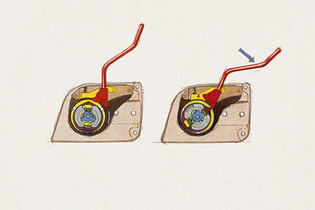 The cold start, start, run and stop functions can be selected safely and easily from the handle with single-lever operation. Already essential for the professional maintenance of green spaces, private gardeners are also starting to discover brush cutters. 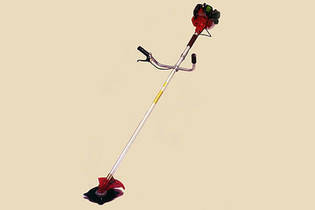 The FS 80 is one of the first trimmers, which is what a brush cutter in a very lightweight design is called. It can be equipped with a variety of cutting tools.